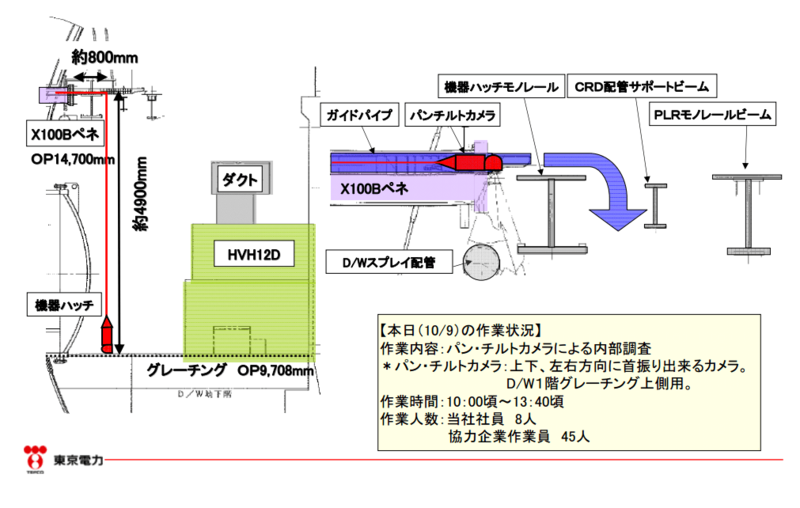 TEPCO workers have begun a four day project to inspect the containment vessel of the Unit 1 reactor at Fukushima Daiichi with an endoscope camera. The goal of the work is to determine the amount of contaminated water in the vessel, but after the first day of investigation, workers were unable to find the water level in the reactor, and some damage was found. The workers wanted to collect some of the contaminated water to analyze the concentration of radioactive materials in it, and also to gather data as to where new sensors and gauges could be located to monitor the temperature and water levels in the containment vessel.